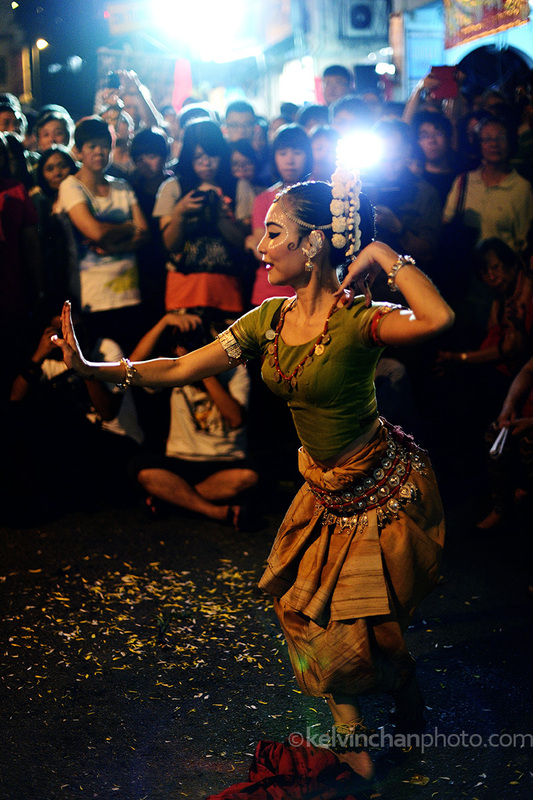 This event took place earlier this year in Kuala Lumpur Chinatown. 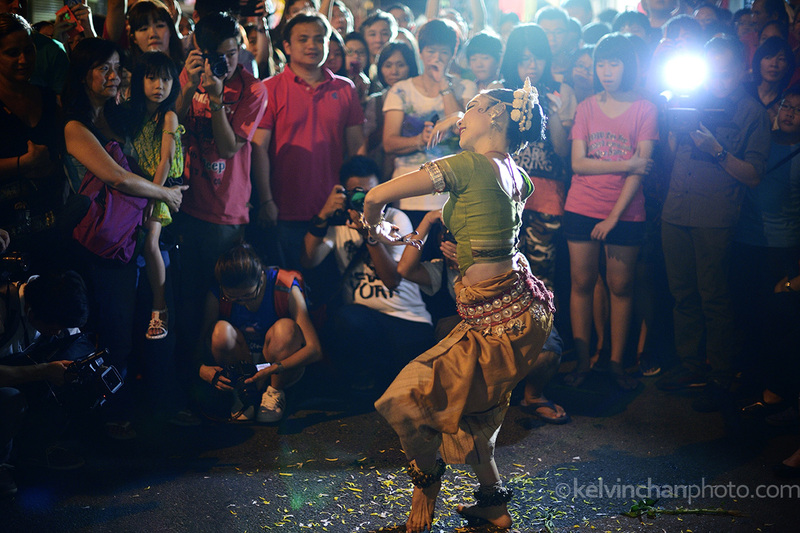 The performance and dances took place in the street, while the road was not closed, some of the performances were able to spill over into the street. 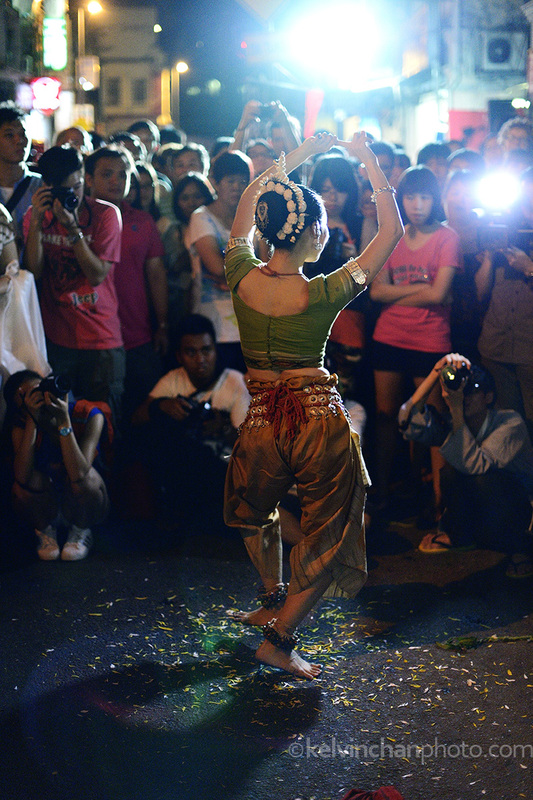 A mix of Malay, Chinese and Indian dancers and musicians performing right in front of the audience on the street pavement. 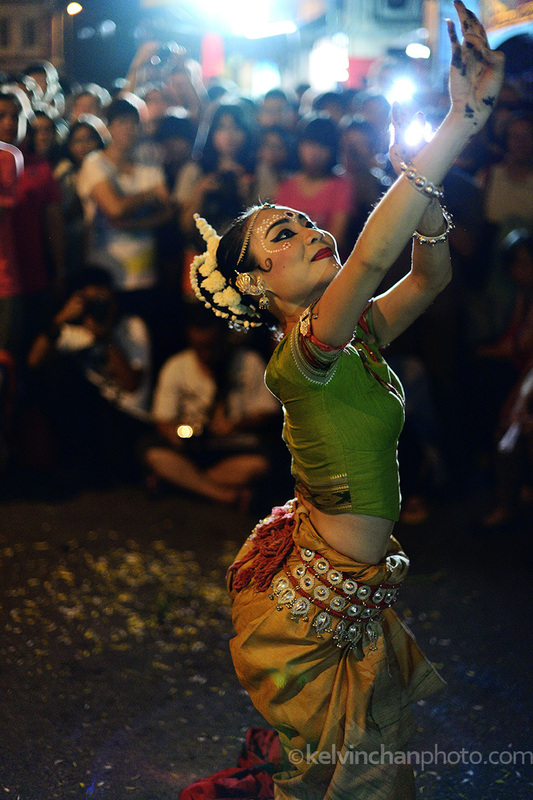 This series is about Michelle “Jueny’ Chang, a Chinese girl who does classical Indian dances. As i was not prepare for this event, but just happened to attend another event in the same location I was not having more adequate lenses. 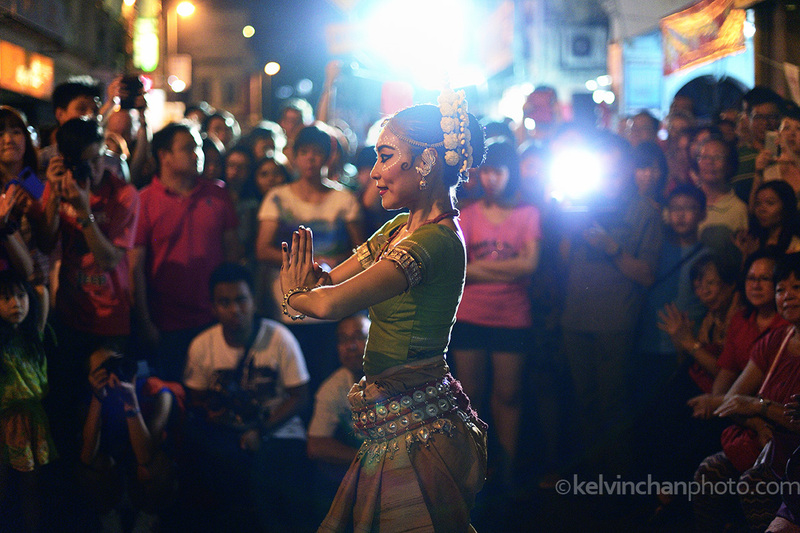 Shooting with a Nikon Df and only a 50mm lens, it turned out to be more difficult than i imagine. With a big crowd and also other photographers it was even more challenging as my focal length is limited as I squeeze in between them. And I was either too near or I was blocked by other in front. As the street was quite dark i push up my ISO and stop down to f/1.4. omg I just saw this thank you!! Last photo cropped lol I had no idea you took so many nice photos 🙏 Can I post your link on my website please?